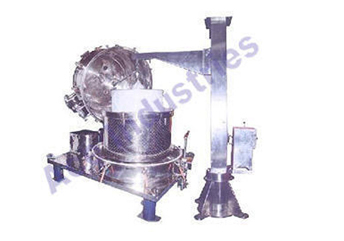 Leveraging on our vast infrastructure facility, we are capable of manufacturing, supplying and exporting Four Point Suspended Centrifuges. Manufactured under the strict supervision of expert professionals, these products are stringently checked on various parameters to ensure flawlessness. We also have R&D experts, who conduct regular surveys and researches for improvising our existing range of products. With the help of our wide distribution network, we are able to deliver these Four Point Suspended Centrifuges at clients premises within the set time frame.